GWR Macaw B number 84603. This view clearly shows the significant amount of underframe truss strengthening that has been added. Above the solebar there are raised paths for the tank tracks. These ensured that the wagon buffers were not damaged when a tank moved along the train. The wagon was built to diagram J14 and was part of lot 810. 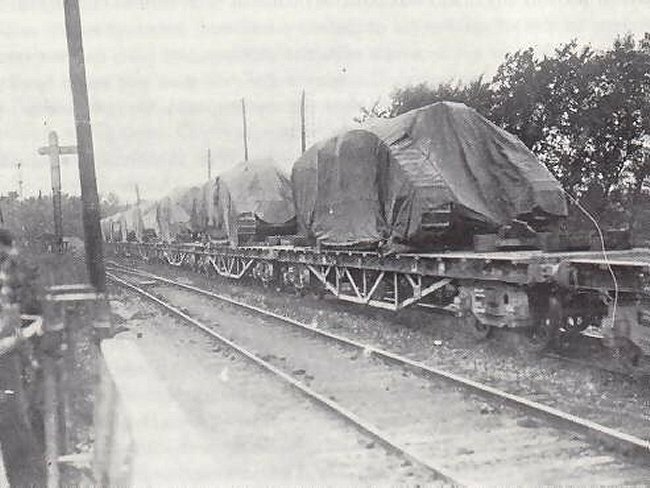 During the First World War the Great Western Railway reinforced the trussing under several versions of the Macaw bogie bolster wagons in order to make them suitable for carrying tanks. This ex-GWR Macaw was photographed at United Engineering Steels at Aldwarke, Rotherham, on 26th June 1994. It was UES internal user fleet number 1318 and carried a plate saying it was rebuilt in 1916. 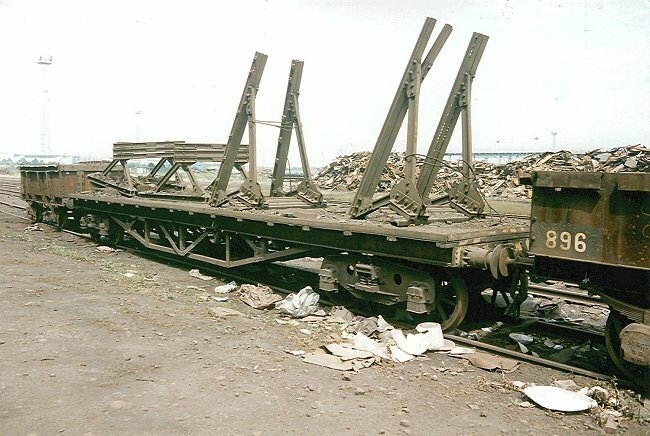 GWR diagram 50 shows a Macaw wagon in post-war condition as a bogie bolster wagon. This GWR Macaw carried War Department markings and WD number 5320. The two "continental" safety chains show that it was intended for use overseas. This wagon was originally built as GWR 84572 as part of lot 810. 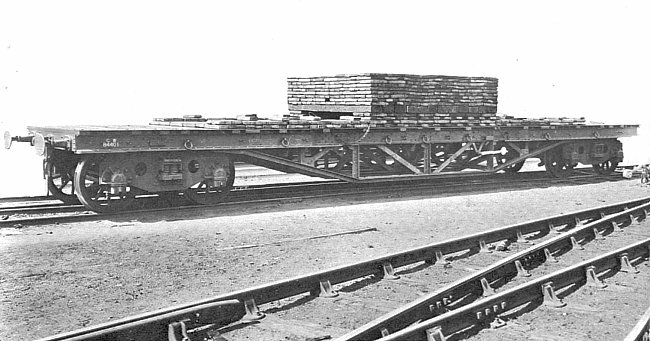 The reinforcement work converted it to a diagram J19 wagon in 1917. Another view of the ex-GWR Macaw as United Engineering Steels, Aldwarke, number 1318 on 26th June 1994. GWR Macaw D number 84365, built to diagram J22 and rebuilt to diagram J20 in 1918. 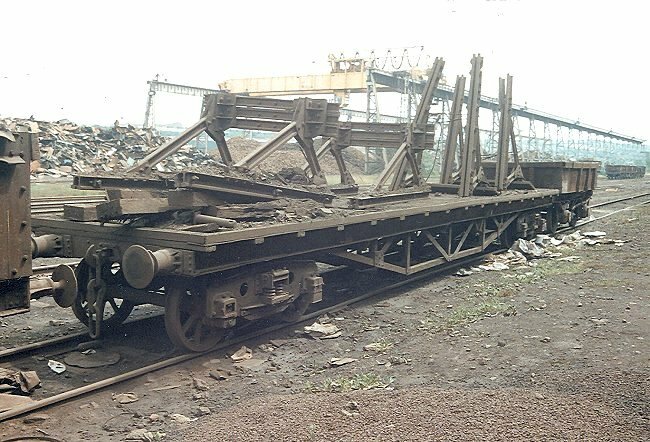 GWR Macaw D number 84401 with reinforced trusses undergoing a load test at Swindon Works. This wagon was built to diagram J14 in 1914 and rebuilt as a Macaw B to diagram J18 in 1917. It was then modified to diagram J20. A train of reinforced GWR Macaw wagons conveying tanks at an unknown location. The headstocks of GWR Macaw number 39226. 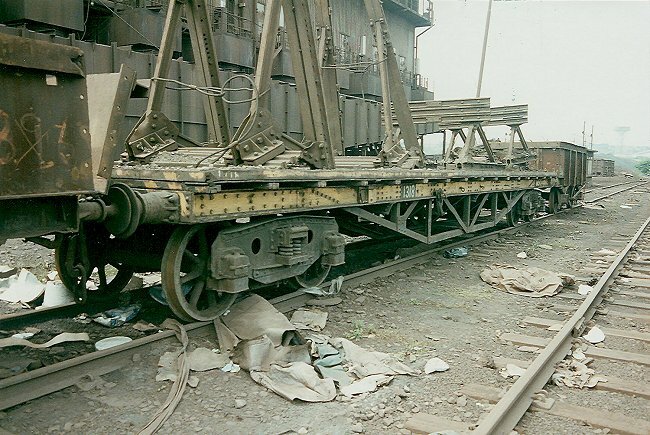 Note the screw jacks to make contact with the rail when the wagon is being loaded, plus the "continental" safety chains and screw coupling. 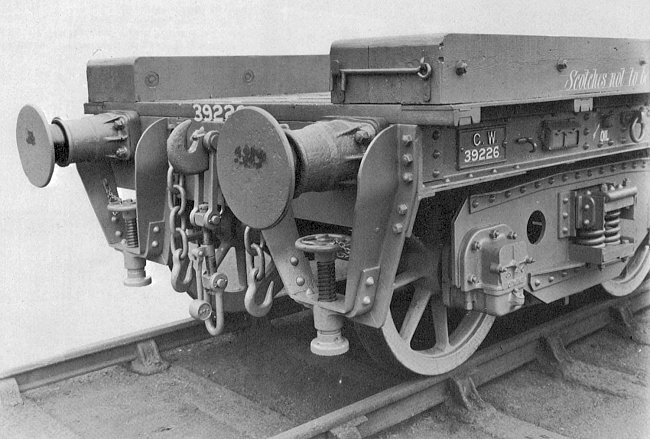 GWR Flat 84371 with reinforced tresses. This wagon was built to diagram J14 in 1914 and rebuilt to diagram J18 in 1917. It carries the code "FLAT" instead of Macaw B. Unusually this side of the wagon was in a different colour to the other side.